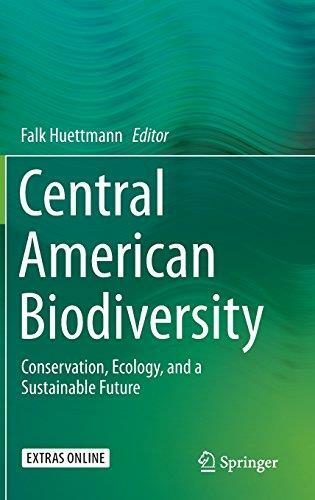 Central American Biodiversity Conservation, Ecology, and a Sustainable Future | Free eBooks Download - EBOOKEE! This book highlights key results and lessons learnt from two field sites, La Suerte in Costa Rica and Ometepe Nicaragua. It provides long term data on species abundance and distribution. Primates receive specific attention in this book, as they are flagship species and good indicators for the "health" of an ecosystem, but as well a money maker. Many primate species are sensitive to habitat alteration, and are often hunted out first. But they play an important role as seed dispersal agents for the regeneration of the forest. The book then compares results from the two field sites with regional trends, and explores potential solutions such as REDD+. This book strongly calls for new approaches in conservation, it makes the case for looking beyond the pure species biology and classic conservation angle and to take into account the economic and political realities. No comments for "Central American Biodiversity Conservation, Ecology, and a Sustainable Future".